"Naya Pakistan" led by Pakistan Tehreek e Insaf Chief Imran Khan faces multi-dimensional challenges of governance, economy, security and ties with the United States and India. The first and most pressing challenge is the severe balance of payments crisis. It will force Imran Khan to beg and/or borrow billions of US dollars to shore up the country's reserves. It must deal with the geopolitical challenge of potential US veto of the IMF bailout of Pakistan. In addition to dealing with the looming bop crisis, the PTI government must address the issue of exports that have halved from 16% of GDP in 2003 to about 8% of GDP in 2017-18. It needs to make concerted efforts to promote exports by making the domestic industry more export-oriented. It must help exporters understand the requirements of foreign markets and use its diplomats to promote Pakistani products and services in international markets. Pakistan must overcome the civil-military divide and build consensus to develop policies vis-a-vis the United States and India while at the same time maintaining close ties with China. The new leadership needs to use institutional processes such as regular national security council meetings attended by by top civilian, military and intelligence officials. Nawaz Sharif vs "Khalai Makhlooq"
Azad: "All stuff beyond that is secondary , our internal Prosperity is Top Agenda"
Fighting corruption tops PTI's and Imran Khan's national agenda. Part of bringing prosperity is fighting organized corruption industry that siphons off billions of dollars from the public treasury. I think IK needs to start with organized corruption by politicians and political parties, not petty corruption that you mention. Examples: Sales of government jobs to the highest bidders, inflated government contacts in exchange for bribes and kickbacks, Unaudited, unaccounted for "development funds" to party members, etc. When I was growing up I had a friend whose father was a senior official in Public Works Dept. The father was a pious religious man who prayed, fasted, paid zakat and did Hajj. He told me his father does not accept bribes. However, he said his father gets monthly "commission" in addition to his paycheck. The "commission" he got was his part of the take by lower level functionaries who took bribes for awarding contracts and issuing permits. Similarly, I know that "thanas" (police stations) in Pakistan are sold to the highest bidding SHOs who pay millions of rupees to get the most lucrative postings by the ministers. The SHOs see it as an investment where the return comes from the street cops daily collection. Another friend told me his uncle "bought" the top job in a state-owned petroleum company but he made 10X what he paid for it. Corruption is a well-organized industry in Pakistan. Going after the lowest levels will not solve the problem. It's the organization that has to be disrupted from the top. Excerpt: "....the heart of the matter is that the ascendance of Imran brings Pakistan to an inflection point, an event that marks the start of a significant improvement, deterioration or disruption in India-Pakistan relations. It is, arguably, a strategic inflection point; a continuation of the status quo would only lead to certain failure. What makes Imran extraordinary is that he has a westernised history, a subsequent history of being dangerously accommodative toward religious extremism and a concurrent history of addressing the chronic problems of Pakistan’s political economy as his life’s mission—poverty, social disparities, corruption and so on. What adds to the mystique is that he freely acknowledges today that Pakistan cannot achieve its social and economic potential without being at peace with its immediate neighbours.....The astonishing part is that the Indian narrative is blithely unaware that Imran is a product of our turbulent times. The Pakistani election results have completely overshadowed an event of momentous significance to that country—direct talks between the United States and the Taliban (without the participation of Afghan government), which took place in Qatar. The timing—just two days before the Pakistani elections—was exquisite. And, the Pakistani military leadership made it possible. The Taliban since expressed satisfaction that the meeting ended with “very positive signals” with an agreement to meet again “soon” and that the two sides discussed Taliban’s participation in the Afghan government......Being tentative towards Imran will be a catastrophic mistake. The Indian leadership should not fall for the narrative that Pakistan is caught in a time warp. India no longer has a choice of ‘dialogue-or-no-dialogue’. Imran held out an olive branch in his victory speech. Delhi also has a wonderful opportunity to reciprocate by ending the stalemate over the scheduling of the SAARC summit in Islamabad. Indeed, a meeting in September on the sidelines of the UN General Assembly can help break the ice and establish a personal rapport between Narendra Modi and Imran, who may have mutual affinity and common concerns they are unaware of. The astonishing part is that the Indian narrative is blithely unaware that Imran is a product of our turbulent times. The Pakistani election results have completely overshadowed an event of momentous significance to that country—direct talks between the United States and the Taliban (without the participation of Afghan government), which took place in Qatar. The timing—just two days before the Pakistani elections—was exquisite. And, the Pakistani military leadership made it possible. The Taliban since expressed satisfaction that the meeting ended with “very positive signals” with an agreement to meet again “soon” and that the two sides discussed Taliban’s participation in the Afghan government. A recurring fallacy of Indian foreign policy discourse is its tunnel vision—the singular failure to correlate diplomacy with the wider geopolitical templates and regional and global alignments. We must understand that Pakistan is preparing for the formidable challenge posed by the imminent outbreak of peace in Afghanistan. The tumultuous history of Pashtun irredentist claims underscores that had there been no Imran, Pakistan would have had to invent one. This has sub-plots and a few of them have direct bearing on India’s vital interests, too. First, peace in Afghanistan eases pressure on Pakistan’s internal security and allows it to concentrate its forces more on its eastern border with India (which brings us to the Kashmir issue.) Second, Pakistan expects quid pro quo from the US for bailing it out of a humiliating defeat and ignominious retreat from Afghanistan. Pakistan seeks strategic balance in South Asia, which requires course correction in US regional policies. Third, Pakistan’s close cooperation with the US helps it to breathe new life into its relations with the west, while its Eurasian integration processes also continue apiece. (No doubt, Imran makes a brilliant global salesman for his country.) Fourth, in a stable regional environment, Pakistan hopes to garner the benefits of China’s Belt and Road Initiative as well as attract western investment. Geo-economics gains primacy. Indeed, history has not ended in our region. The massive loans taken by the last two governments have placed Pakistan in a dire financial situation. Our current account deficit is $18 billion. The value of the rupee declined from Rs60 per dollar to Rs123, whereas the magnitude of foreign loans increased from $37 billion, accumulated over 60 years, to $95 billion – an additional debt of $58 billion in just 10 years. The outstanding rupee debt is Rs4 trillion, which the new government will need to rollover during the coming months. Around 190 Public Sector Enterprises have lost a huge sum of Rs1.1 trillion, and we have lost some Rs3.7 trillion over the last three years. The former finance minister has escaped the clutches of the law and taken refuge in the UK. He needs to be brought back through Interpol and given exemplary punishment, if found guilty of looting public funds. The former prime minister languishes in jail for massive corruption and misuse of public funds. Imran Khan has emerged as a knight in shining armour after relentlessly struggling against corrupt rulers for 22 years. His speech was full of wisdom and humility – it came straight from the heart and proved that Pakistan finally has a leader who is a visionary, and is honest and committed. The vast amounts of looted public funds have been accumulated abroad, while thousands of Pakistanis are committing suicide due to abject poverty. The answer lies in implementing a punishment system such as that of China, Thailand, Morocco, Philippines, Indonesia, Iran, Iraq and Vietnam. Such trials should be carried out by military courts, as the normal justice system cannot work against such a powerful mafia. The murder of late Justice Nizam Ahmed is a reminder of what can happen to judges. Plea bargaining should not be allowed, except for commuting a death sentence to life imprisonment, with Class C jail facilities, only if all looted funds are brought back. One of the most important tasks that lie ahead for the new government is revamping the judicial system. Some out-of-the-box thinking may have to be done to make this possible. The system can be improved by hiring several thousand new judges on contractual basis from a lot of qualified lawyers. They should be given the mandate to decide all new cases within three months. Those who fail this test should be fired. The backlog of cases must be cleared within 24 months. This can be done; all it requires is will. It will also be an appropriate justification to the name of the party in power -- Pakistan Tehreek-e-Insaf. Pakistan’s wealth lies in its 100 million people below the age of 20. So our action plan must primarily focus on unleashing their potential, so that Pakistan can transition into a knowledge-based economy. Achieving this will require funds. The fastest way to generate funding is by introducing projects in the agriculture sector. Providing access to water through building dams and lining canals, reducing water wastage and using biotechnology to improve crop yield and disease-resistance should be given the highest priority. The mushrooming of substandard universities has promoted mediocrity and contributed to the joblessness of poorly prepared ‘qualified’ graduates. This must stop. Our focus should be on sending our brightest students to top universities abroad. They must then be attracted back through research grants, jobs on arrival, and their salaries must be tripled as per the tenure track system. This system, introduced in 2005, must be made mandatory for all new faculty inductions so that there exists a mechanism for weeding out non-productive faculty through international evaluation. There is a huge scope in several sectors of our economy. These include information technology, mineral processing, electronics, engineering goods, value-added agriculture etc. The projects to be undertaken in each sector have already been shortlisted in a 320-page document prepared as a result of intense consultations with thousands of stakeholders through a ‘foresight’ exercise carried out under my supervision during 2004-2006, and approved by the cabinet in 2007. These now need to be picked up and implemented upon. To make rapid progress, Pakistan needs to focus on projects which can create jobs and thereby alleviate poverty. The motto of the new government must be ‘Jobs, Jobs and Jobs’. To make this happen, agricultural development and industrialisation has to be our focus. To promote manufacturing in high value-added fields, technical training, education, science, technology and innovation (TESTI) should be a priority. The autonomy of the federal HEC must be restored, and the body must be fully supported to discharge its function independently of the Ministry of Education. Some of our best universities should be transformed into ‘research universities’ and some of our best research institutes developed into centres of excellence. To promote innovation and entrepreneurship, every university should establish a Science Park for the incubation of new companies. The vice chancellors of all universities should be screened and those who appear to be academically and administratively weak should be removed, with a better person being appointed in their place. School and college education needs to be completely revamped. A Lower Education Commission could be formed that is independent of ministries and reports directly to the PM on the same lines as the HEC, so that a coordinated nationwide strategy for improving school-level education can be developed. Similarly, the provincial HECs need to be disbanded as they are duplicating the functions of the federal HEC, and the higher education departments in each province should be given the task of uplifting colleges. The new cabinet must not contain any politicians. It should be composed of respected technocrats, each a specialist in their relevant discipline. All federal secretaries should be replaced by top experts, and each ministry should have think tanks which comprise experts from within Pakistan and abroad. These should then advise the federal ministries. The same should be done at the provincial level. The clock is ticking. Secretaries should be required to be in office at 8am sharp and the ministries should function till 5pm each day, including on Saturdays. National holidays should be cancelled except for one day each for Eid and Muharram. If people want to celebrate Kashmir or Iqbal days, then that week’s Sunday should be declared a working day and the salary for that day should be donated to the relevant cause. Destiny has provided a wonderful opportunity to Pakistan through a dynamic, honest and sincere leader in the form of Imran Khan. We should all gather round to support him. Pakistan and Russia have signed an agreement to allow Pakistani troops to receive training at Russian military training institutes, a move aimed at boosting their bilateral defence ties. The agreement was signed on Tuesday at the conclusion of the first meeting of Russia-Pakistan Joint Military Consultative Committee (JMCC), according to Pakistan’s defence ministry. “Both countries signed the Contract on Admission of Service Members of Pakistan in RF’s (Russian Federation) Training Institutes,” the ministry said. The Russian side was led by Deputy Defence Minister Col Gen. Alexander V. Fomin who visited Pakistan from August 6-7 to attend the first session of Russia-Pakistan Joint Military Consultative Committee (JMCC). Lt. Gen (retd.) Zamir ul Hassan Shah, Secretary Defence, led the Pakistani delegation during the JMCC meeting. Prior to the inaugural meeting, held on Tuesday at the Ministry of Defence in Rawalpindi, the visiting dignitary called on the defence secretary and the defence minister. During the meetings, the two sides discussed the present status of their bilateral defence relations with the aim to further strengthen, expand and diversify mutual cooperation. JMCC is the highest forum of defence collaboration between Pakistan and Russia. During the inaugural session of the JMCC, both sides exchanged views on bilateral and major international issues including situation in the Middle East and Afghanistan. A comprehensive issue based review was also carried out during which the two countries expressed satisfaction on the milestones achieved since the signing of ground breaking Agreement on Defence Cooperation in 2014. The two sides also held in depth discussions on avenues of future cooperation, the defence ministry said. Col. Gen. Fomin also met Chairman Joint Chiefs of Staff Committee and the three services chiefs. An Army spokesman said that Col Gen Fomin met Army Chief Gen Qamar Javed Bajwa and discussed the regional security situation and matters of mutual interest including enhancement of bilateral defence and security cooperation. Gen. Fomin expressed his appreciation for Pakistan Army’s achievements against terrorism and expressed requirement of greater cooperative and collaborative approach among global community to defeat extremism. Pakistan’s defence ties with Russia have moved past the bitter Cold War hostilities in recent years and the chill in the relations between Pakistan and the U.S. has further pushed the country towards Russia and China. Pakistan has shown eagerness to build military-to-military level ties with Russia. Earlier this year, the then foreign minister Khawaja Asif visited Moscow during which the two sides agreed to set up a commission to boost military cooperation. Russia has over the past three years provided four Mi-35M combat and cargo helicopters to Pakistan and the militaries of the two countries also held joint drills codenamed ‘Friendship’. One of the first things Imran Khan has to do is fix the collapsing economy. Although “Pakistan-China friendship is higher than Himalayas, deeper than ocean, sweeter than honey, and stronger than steel”, China will continue to sit on that building whether it is “Naya” Pakistan or not. Naya Pakistan will have absolutely no money. Despite lofty campaign promises of a utopian Islamic welfare state, Imran Khan has to first think about economic solvency and survival. Simple Economics 101 dictates that most development plans will have to be shelved. Yet the Military will still take its substantial share from the budget. The ‘Kashmir is the core issue’ or ‘India is our permanent enemy’ narratives are written in stone. The USA holds the most shares at the IMF and is, certainly, not happy with Naya Pakistan, so knocking on that door expecting a handout without stiff requirements is unlikely and difficult. Pakistan has gone to the IMF multiple times but the current economic crisis is the worst. Naya Pakistan’s Imran Khan will need a bigger bowl and hope for the best. Saudi Arabia may toss a few dollars and China may reluctantly do that as well. However, the gulf is wide and Imran Khan will not be able to bridge it. It doesn’t matter how sincere PM-elect Imran Khan was in his first speech because he will have far less control on foreign affairs. Make no mistake, Naya Pakistan’s foreign policy will be in the hands of the Military. No change there. On the terror front, General Bajwa and ISI decide who the terrorists are. Pro Pakistan but anti India jihad factories will continue their business as usual. Ultimately Imran Khan will make a Naya Pakistan and it will look very much like the old Pakistan that is once again in a dire economic situation. Trust me, I hope to be wrong here and I want to sincerely wish the best of luck to Naya Pakistan’s Imran Khan because he will surely need it! #Pakistan political dynasties unite against triumphant #ImranKhan's #PTI. An unexpected bond between #PPP and #PMLN whose ruling families have been in charge of Pakistan for about half of the past 50 years. The two dynasties that have battled for control of Pakistan for generations will join forces on Monday, promising to stage “noisy protests” inside parliament against the results of last month’s elections as new members take their oaths. The Pakistan Muslim League-Nawaz, which is controlled by the Sharif family, and the Pakistan Peoples party, run by the Bhuttos, have formed an unlikely alliance against Imran Khan, the former cricketer whose party won most seats last month. Analysts say that if the two parties manage to maintain their unity, they could present a significant obstacle for Mr Khan, who is due to take his oath as prime minister in the coming days. One senior PML-N politician said: “Inside the house we are going to keep up the clamour that the elections were clearly rigged.” A leader of the PPP added that the two parties would combine forces inside parliament over the next few years “on important political and legislative issues”. Mr Khan has spent the past few weeks composing a governing coalition, after his Pakistan Tehreek-e-Insaf party won 116 of the 272 contested parliamentary seats. His negotiations have taken place, however, against a backdrop of protests by the opposition parties, which claim the PTI was helped by interference from the country’s powerful security services — something denied by both the PTI and the army. Analysts say they do not expect the opposition parties to be able to form a government, not least because they fear a backlash from voters, among whom Mr Khan remains popular. But many believe the alliance could make its presence felt in parliament over the next few years, especially as Mr Khan’s first job will be to repair the country’s balance sheet, possibly by enacting unpopular spending cuts or tax rises. Asad Umar, Mr Khan’s proposed finance minister, has said the country has just weeks to secure extra financing to meet its external debt requirements. When you are head of a Govt., your views, old or new become important. Here is a piece by IK on materialism and religion. I found it fascinating, especially because this was penned Jan 14, 2002, when IK was not even close to being an elected PM. Rashid: "Here is a piece by IK on materialism and religion. I found it fascinating, especially because this was penned Jan 14, 2002, when IK was not even close to being an elected PM." Pakistan has been guaranteed financial backing from Beijing, senior officials said, as the incoming government of Imran Khan looks to avoid having to go to the IMF to solve its foreign exchange crisis. Senior members of Mr Khan’s Pakistan Tehreek-e-Insaf party have told the Financial Times they have been assured they will get further loans from Beijing over the coming months as one way to keep their currency stocks topped up. Chinese state-backed banks have lent Pakistan more than $5bn in the past financial year as Islamabad has become increasingly reliant on its northern neighbour to secure its finances. Another senior party leader said: “The Chinese have signalled their intent to keep helping Pakistan avoid a crisis, a default.” But he added that Chinese officials have urged their Pakistani counterparts “to take steps to reduce the large deficit”. Mr Khan, Pakistan’s former cricket captain, is hoping to be sworn is as the country’s new prime minister within days following last month’s election, at which his party won the most seats. New MPs took their oaths on Monday, with the opposition Pakistan Muslim League-Nawaz and Pakistan People’s party promising to provide a unified opposition to Mr Khan’s PTI. One of his first tasks will be to repair the country’s balance of payments problem, with high imports and low exports having left it with only $10.4bn in foreign currency, according to the latest published statistics — enough to cover two months’ worth of imports. Officials have drawn up plans for the new government to approach the IMF for a bailout worth up to $12bn, which would be Pakistan’s 13th bailout from the fund and its largest ever. But the US, which is the IMF’s biggest shareholder, has urged the fund not to issue a loan unless Pakistan publishes full details of the loans it has taken from China to pay for a $60bn infrastructure scheme. With Islamabad and Beijing reluctant to reveal loan details, officials in the Pakistani government have begun to explore other sources of funding. Last week the FT revealed that the Saudi-backed Islamic Development Bank has agreed in principle to lend Pakistan more than $4bn — though this will be insufficient to avoid further assistance. Asad Umar, Mr Khan’s proposed finance minister, told the Dawn newspaper on Monday he saw turning to the IMF as a “fallback option”, to be sought once other routes had been explored. Beijing has not told Islamabad how much it might be willing to lend, or whether it will be enough to avoid an IMF bailout. But Mr Umar told reporters last week the Chinese ambassador to Pakistan had given the incoming government “his assurance that China is a friend that Pakistan can count on”. It may have looked moth-eaten to its founder Mohammad Ali Jinnah, but Pakistan was anything but that at the time of Independence. An average Pakistani was richer, lived longer and lived more safely than an average Indian for almost two decades after 1947, which is roughly the time democracy was absent in Pakistan. What can India offer to Prime Minister Khan that’s new, substantive and outside the immediate no-go areas of J&K and terror? We should first banish the thought that a weak Pakistan is good for us. A crippled Pakistan is only good for two things: 1. Shouting matches on TV where those criticising India are asked to migrate to Pakistan. 2. To give us a false sense of achievement in doing better than Pakistan when India’s potential-performance gap is much wider than Pakistan’s. A less hostile public attitude toward our neighbour will allow government to take a few out-of-the box steps. For instance, Indian companies should be allowed and encouraged to hire from top Pakistan campuses, even if for one or two years. 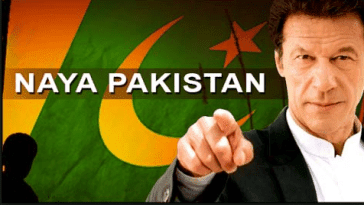 If only 30 Sensex companies hire 50 Pakistanis each, there will be 1,500 young and talented Pakistanis working and living in India benefiting, and benefiting from, the world’s 6th – and soon to be 5th – largest economy. Companies will get good talent at competitive salaries – Pakistani rupee is nearly half the value of Indian rupee. For those worrying about a job loss for Indians, 1,500 is only 0.0007% of Sensex companies’ workforce. Imran Khan’s passport has more Indian visas than any prime minister of Pakistan. Unfortunately, India allows only the rich and powerful in Pakistan to benefit from India’s soft power. That’s counterproductive to our own interests. We should want average Pakistanis to see India as a source of good to them. They will then begin to resent whatever power comes between that ‘good’ and them – whether that power is in Rawalpindi or Islamabad or Beijing – or even Srinagar. Aspiring cricketers in Pakistan will dream of playing in IPL if we unblocked their entry. A budding artist (actors, singers, comedians …) in that country will look forward to hitting the big stage in India, if we don’t hum and haw over granting him a visa. Pakistanis with a critical medical condition in the family should want to get treatment in India – without having to try their luck on Sushma Swaraj’s Twitter handle. Pakistan should be allowed to fill its quota of students at the South Asian University, something we committed to at the time of deciding to host this institution that could one day be the region’s most coveted. Not one of these will be acts of charity or concession because India’s gains will be as much as Pakistan’s – if not more. This is exactly what we tell the US while arguing for easier immigration. In geopolitics there is no positive emotion as powerful as seeing your countrymen excel in another country. India has that power in its grasp today. Let’s use Imran’s prime ministership as an occasion to unleash that power. Wow, these charts portray a completely different picture as compared to the earlier stream of data presented by Riaz Sb. Dawud: "Wow, these charts portray a completely different picture as compared to the earlier stream of data presented by Riaz Sb." You are accepting the TOI editor's charts on face value. Average Pakistani adult is 20% richer than an average Indian adult and the median wealth of a Pakistani adult is 120% higher than that of his or her Indian counterpart, according to Credit Suisse Wealth Report 2016. Average household wealth in Pakistanhas grown 2.1% while it has declined 0.8% in India since the end of last year. Prime Minister Imran Khan made his inaugural address to the nation on Sunday and promised sweeping reforms. Here are key takeaways from his address. 37. Take responsibility for shelter and development especially of street children, widows and disabled people. Egyptian billionaire Naguib Sawiris has offered to build 100,000 housing units in Pakistan to help realize Prime Minister Imran Khan’s dream of an ‘ambitious’ housing project, officials said on Friday. “Naguib Sawiris has expressed his will to invest in 100,000 units of affordable housing to help prime minister (Imran Khan) in his vision toward Pakistan,” Tarek Hamdy, Chief Executive officer of Elite Estates — a partnership between Ora Developer and Saif Holding — told Arab News in an exclusive interview. Owned by Sawiris, Ora Developers is already engaged in the construction of a multibillion-dollar housing scheme named ‘Eighteen’ which was launched in 2017 in Islamabad with local partners, Saif Group and Kohistan Builders. Sawiris’ first investment in Pakistan was in Mobilink, a cellular operator. PM Khan in October 2018 had launched ‘Naya’ (New) Pakistan Housing Project in line with his party’s election manifesto, which promised fivr million houses for the poor. Hamdy says they have “set rules or guidelines of the way of doing things” that apply to every real estate projects — whether they are affordable or high value units. “We will use our experience and knowhow to deliver this properly to the people of Pakistan,” he added. Since the announcement of the low-cost housing project for the poor, the scheme has been at the heart of all political and economic discourses with several calling it too ambitious. “This scheme is very ambitious yet very promising for the people of Pakistan. I think all the developers should help in this scheme. You cannot solely rely on the government to build five million houses,” Hamdy said. Recently, the governor of Pakistan’s central bank had said that the massive housing project would require financing of upto Rs 17 trillion. Hamdy believes that the promise of building five million affordable housing units cannot be realized in a short span of time. “I think the plan is right but it has to be in stages, has to be in steps. It could be achievable obviously that is not the project (to be achieved) in one or two years... may take few good years, may be couple of decades to be achieved,” he said. In the Islamabad project the Ora Developers own a 60 percent stake in the project comprising a five-star hotel, 1,068 housing units, 921 residential apartments, business parks, hospitals, schools and other educational facilities and 13 office buildings, and a golf course. The networth of the project is $2 billion. The next cities on the radar for real estate projects are Lahore, Karachi, and Faisalabad. “We intend to do more, we intend to invest more. I think that our portfolio of real estate could come to $10 billion worth of investments in the next five to 10 years including all the projects that we intent to do,” Hamdy said. Pakistan’s housing sector is marred by frauds, scams and unfinished schemes which has been discouraging many potential investors from venturing into the sector. However, Hamdy says he is confident of delivering the promise by 2021. Analysts say that Pakistan’s housing sector offers great opportunities for investment due to increasing demand. “According to estimates, the current real estate market value is around Rs900 billion which is three times that of the GDP,” Saad Hashmey, an analyst at Topline Securities, told Arab News, adding that the PM’s housing project is the need of the hour. Pakistan faces a shortage of nearly 12 million housing units that may require a massive investment of around $180 billion, according to the former Chairman of the Association of Builders and Developers, Arif Yousuf Jeewa. Syeda Munnaza lives in Pakistan, in the bustling Lahore locality of Iqbal Town. There, she runs the Mehmod Hamid Welfare Memorial Society, a nonprofit that provides skills based employment training to locals, especially women and girls. Munnaza’s house is divided on the political front: her three children, ranging in age from fifteen to twenty five, are huge fans of the new prime minister, Imran Khan. Munnaza herself is a loyal supporter of the former premier, Nawaz Sharif, and his party, the Pakistan Muslim League-N (PMLN). Ask her about the July 2018 election, and she’ll tell you it was entirely rigged in favor of Khan. Nawaz Sharif’s career has been a tumultuous one since he first appeared on Pakistan’s political scene in the 1990s; he has served as prime minister three times without ever completing a full term. Most recently, in July 2017, Sharif resigned from his post after being declared unfit for office by the Supreme Court due to corruption scandals. Subsequently, the country voted overwhelmingly for the Pakistan Tehreek-e-Insaaf (PTI) party, and PTI’s Chairman, Imran Khan, became Prime Minister. Khan ran on anti-establishment and vehemently anti-corruption rhetoric. Humayun added, “Imran Khan’s not a new addition on Pakistan’s political landscape. He’s been around since the 1990s.” What made him an appealing “outsider,” however, is that he was a viable third option to a public increasingly weary with the country’s two other major political parties, the PMLN and the Pakistan People’s Party (PPP). While many are hopeful that Prime Minister Khan will follow through on his pledge to deliver a “New Pakistan,” one with welfare programs, a thriving economy, and an improved reputation on the international stage, others remain skeptical. She remains unconvinced by their argument, saying she voted for the PMLN because of “all the work” Sharif has “done for the people” in Lahore; she cited renovations and technological upgrades at government hospitals and improvements to the city’s education system. Munnaza isn’t alone in feeling indebted to Sharif and his party; the PMLN won 61 in the National Assembly, out of a total 272—corruption scandals and all. They came in second to the PTI. “[I] would never say that I am going to stick with Nawaz Sharif and his party no matter what. If Imran Khan…wanted to do anything [for us], or if he was capable of it, then we would welcome change. But the way by which he came to power was extremely wrong,” Munnaza said. She says that in a country like Pakistan, where corruption is a widespread problem, she doesn’t understand why Sharif’s particular case was pursued so rigorously. In 2017, Sharif was disqualified from office by the Supreme Court after the Panama Papers showed his family’s ties to undisclosed properties abroad and offshore accounts. Sharif and his daughter were convicted on corruption related charges and received lengthy prison sentences just weeks before the 2018 elections. Can Imran Khan Lead Pakistan to the Next Level? Pakistan Day: Will "Naya Pakistan" Be Truly Free? Team Pakistan clean sweeps 2018 Junior Scrabble World Championship in UK!